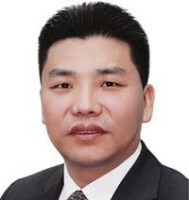 James Luo, managing partner of Lawjay Partners, is counsel of choice for international clients. He is consistently ranked by the WTR 1000 and Legalband as a band-one leading individual in IP litigation, and by Managing Intellectual Property as a Trademark Star, and is recognised as among China’s leading IP lawyers by Chambers and Partners and Who’s Who Legal, among others. Every year, Dr Luo represents various top luxury brands and world-famous marks in over 100 civil and criminal lawsuits for trademark and copyright infringement. a suit against a popular Chinese e-commerce platform selling fake luxury goods. With over 25 years’ experience in IP law, Dr Luo is an established legal authority in IP litigation and enforcement. He sits as a legal expert of the Supreme Court’s IP Case Law Centre Expert Advisers Committee. In 2013 Dr Luo was recognised by the Beijing Bar Association as among the top 10 IP lawyers in Beijing, and in 2015 as an outstanding committee director having chaired the association’s trademark committee, which was also recognised as an outstanding committee. He has served as chair of the China subcommittee of the International Trademark Association Anti-counterfeiting Committee and vice chair of the Quality Brands Protection Committee. He is a former IP partner at Bird & Bird and has worked for Motorola and prestigious law firms including Baker McKenzie. Dr Luo earned his PhD in intellectual property at Renmin University and his LLM in intellectual property at King’s College London, and was a visiting researcher at the Franklin Pierce Law Centre. He is a guest professor at renowned law schools and frequently speaks at domestic and international conferences.